Hi all, hope everyone’s well and have had an amazing week! Looking forward to the weekend; what have you got planned? Move on swiftly, shall we? It’s was my birthday two weeks ago and I’d posted this look on Instagram. The appreciated remarks were incredible, so I knew I had to share the details on here. Of late, I’ve developed a thing or two for pinstripes, particularly its ability to create a more lengthy illusion of height. 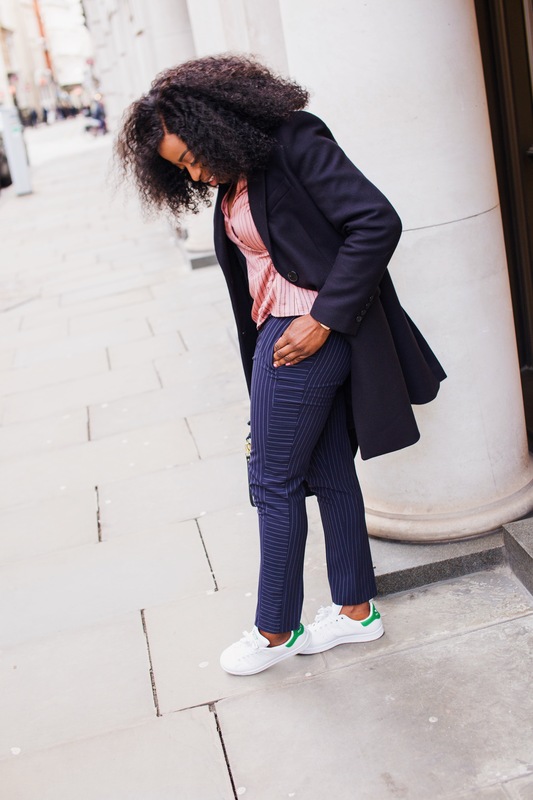 Pairing complementing colours, yet differing textures, this look surely is a winner; a gorgeous pair of court heels or sling backs for an evening/formal look, or a pair of trainers for a relaxed feel, you’re good to go! The striped top is so cute! I love it. 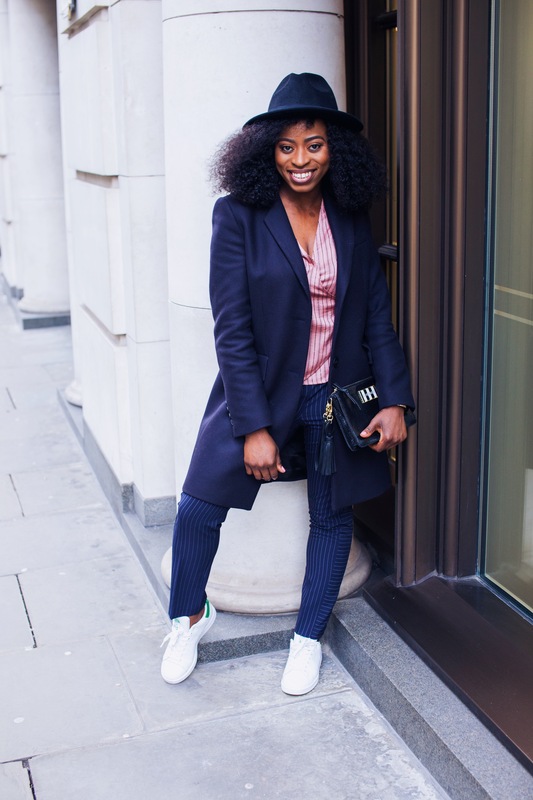 Looking ever so fly Funmi Fums, I know how it is with the whole blogging thang. I’ve started a project in Berlin doing SEO Copywriting and I have a side gig I do as well, so my blog has really felt the brunt of this. Loving the pinstripes on you! You look like a bauwse! This is such a cool outfit and I love the striped blouse! I’m here for this look. The sneakers was nice touch to the outfit. Nice! That is a pretty nice top. The colors of your outfit fits together. The sneakers look amazing. Such a cool look with the pinstripes! Oh it’s a really cute and chic combination, the pink and blue in the same pattern go really well. Creative styling at its best. I love that the pinstripes on the top and bottom matches! I absolutely adore this chic look! The blouse is so pretty and loving the masculine details. Happy belated birthday! I hope you had a wonderful day! Sometimes the blog has to take backseat. I do it time to time to get my life in order. And this outfit is so chic! Love the pinstripes! 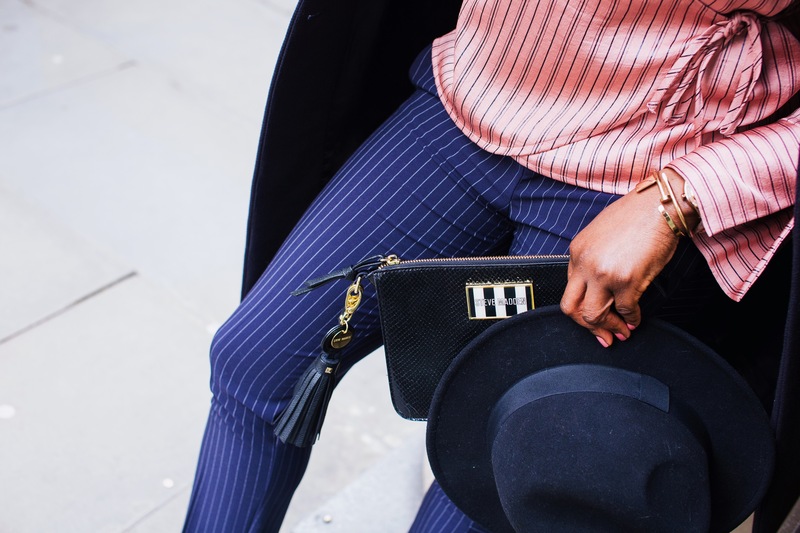 Loving the mix of pinstripes. And the color combination! Glad to see you back to blogging! I love the pink wrap top. Have a lovely weekend. It’s always understandable whenever people have things going on. Blog is second! Happy belated birthday! Love your outfit! What a cool way to wear pinstripes! Loving the pinstripes! You look so chic! Ouuu I’ve never even thought about rocking a double pinstriped look, but I love how you styled this outfit! Totally loving the mix of colours in this. Amazing style *_* You look amazing! 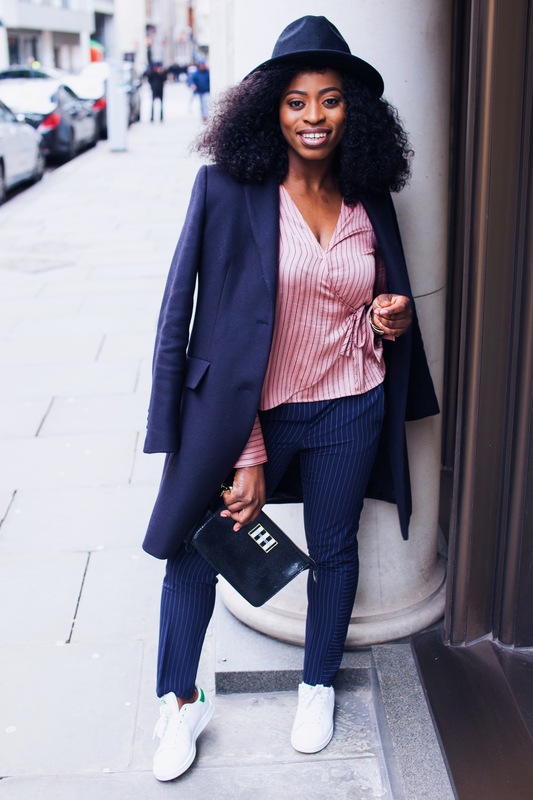 Pinstripes are my jam. 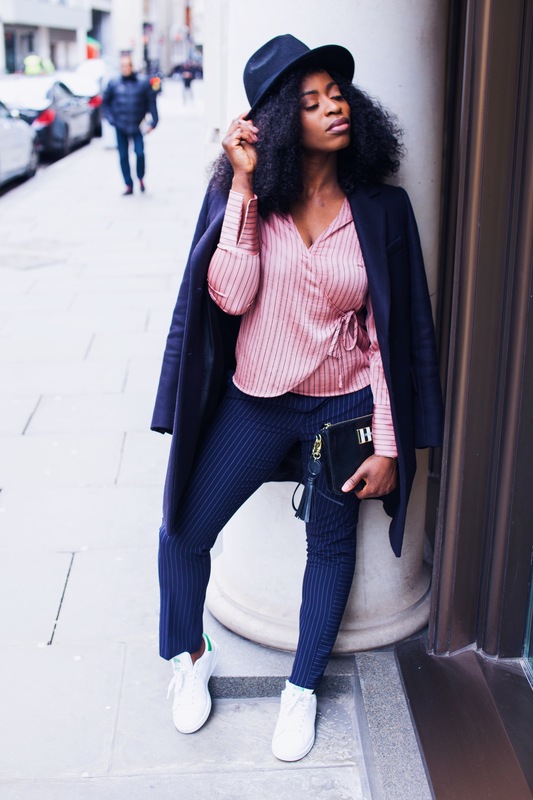 Vertical stripes elongate my body and I need all the help I can get. I love this look on you especially your shirt. I missed you but I understand, life happens, sometimes you have to take a little break. Happy Birthday my friend! Hope you had a blast celebrating your birthday! 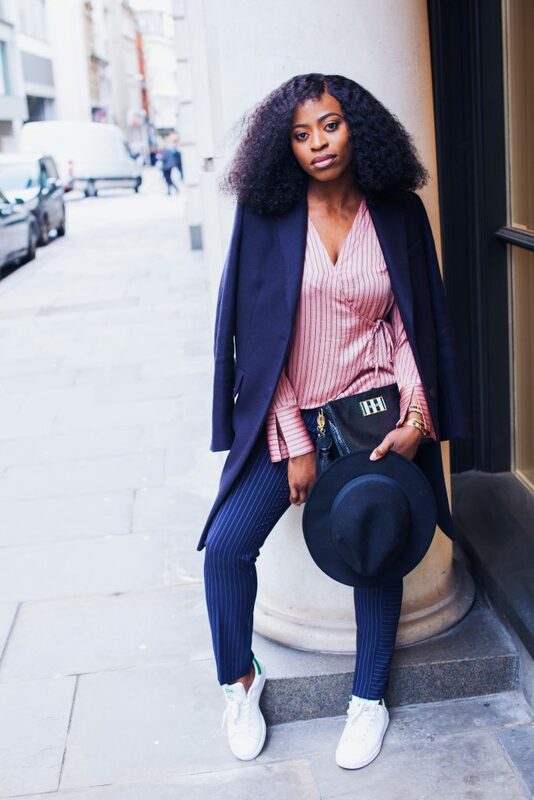 Loving all of the stripes – you look stunning! !